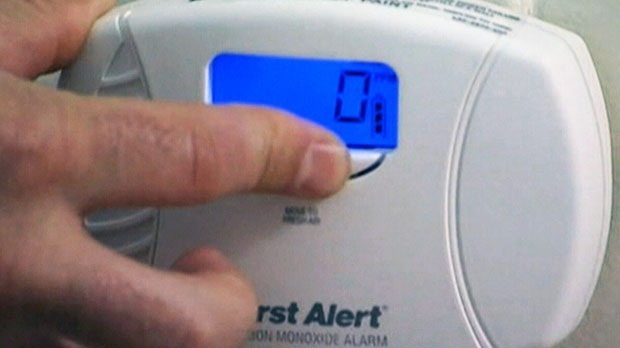 VANCOUVER — A senior paramedic in British Columbia is encouraging homeowners to buy carbon monoxide detectors and inspect their appliances following a spike in poisonings in the past week. Leon Baranowski, paramedic practice leader with B.C. Emergency Health Services, says the colourless and odourless gas can be emitted from fuels including wood, gasoline, coal and propane when they don’t burn completely. “At this time of year, as people start to turn on their water heaters, their gas appliances, fire places and panel heaters in unventilated spaces, carbon monoxide has the potential to build up in that environment. Over time, that can start to overcome patients and affect them,” Baranowski said. A family of five from Barriere, B.C., was airlifted to a hospital in Vancouver in serious but stable condition on Thursday. Two family members were unconscious when they were pulled from their home and the monitors worn by paramedics indicated high levels of the gas when they entered the home. On Wednesday, 13 people with carbon monoxide poisoning were taken to hospital from an office building in Vancouver. Energy company FortisBC said a technician identified a problem with a boiler. There were at least another three cases on the Lower Mainland in the past week, said Emergency Health Services communications officer Shannon Miller. Paramedics in the province respond to about 100 cases of carbon monoxide poisoning over the course of the year, she said. Baranowski said patients at the lower end of the spectrum can present cold and flu-like symptoms, including a dull headache, weakness, dizziness, nausea and vomiting. “As the symptoms progress after prolonged exposure, that can lead to increased shortness of breath, confusion, blurred vision, loss of consciousness and, in the worst case, even death. Carbon monoxide starts to replace oxygen in the body, which we all need to function,” he said. Paramedics treat patients with oxygen. In more serious cases, patients may enter a pressurized chamber for hyperbaric oxygen therapy, which involves raising the pressure in the chamber and delivering oxygen at a high pressure. Certain populations are more at risk, including children and the elderly, he said. Carbon monoxide detectors are between $50 and $100 to purchase he said, and when the alarm sounds that means it’s time to get out of the building quickly. If multiple people start to experience symptoms in the same room or house, that’s also a signal that there could be a carbon monoxide leak in the house, he said. “Ultimately if people take quick action and we get there, then they stand a better chance of having no neurological deficits and no lasting outcomes,” he said.